I grew up with parents who never bought antibacterial cream or ointment and usually our cuts would be cleaned with a wet washcloth and, if necessary, a band-aid was put on. My husband, however, has introduced me to antibacterial creams and uses them regularly. Right after my tube of SAFESKIN Kids Antibacterial Gel arrived, my husband cut his finger. Since we had run out of our other antibacterial gels, it was the perfect time to try out SAFESKIN. He said that the gel was easy to apply and seemed to be similar in consistency to other antibacterial gels and ointments. Amazingly, since my tube of SAFESKIN arrived, neither of my boys have injured themselves to the point of needing antibacterial gel or band-aids so I haven’t had a chance to try this out with them yet. The fact that the gel is supposed to work for 48 hours, so as long as the bandage over the cut or injury doesn’t get dirty or wet, you won’t have to change it at all for 48 hours. This product also provides a barrier against MRSA which is a highly contagious staph bacteria and is resistant to many antibiotics. I had a band-aid on recently and I was shocked at how much it hurt to take off! The second bullet-point above sounds like a big perk to me because I don’t want to have to take band-aids off my kids unless necessary. 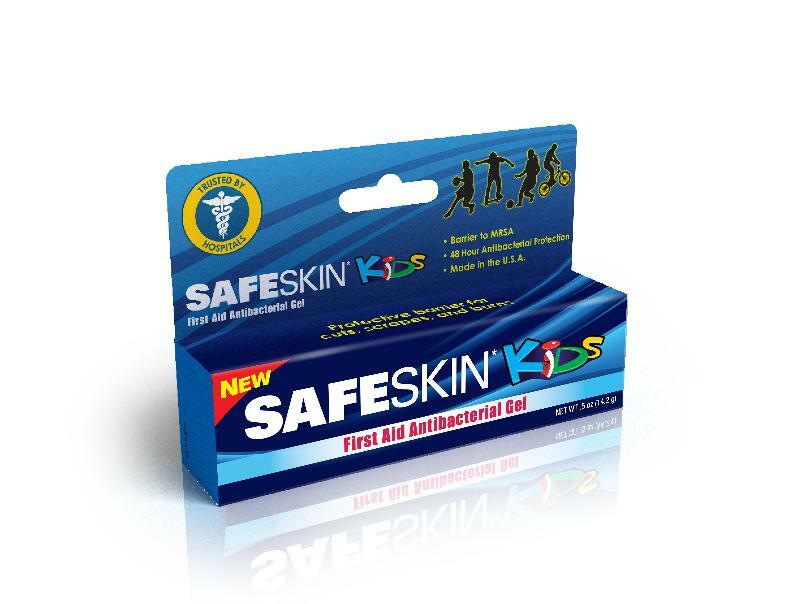 If you would like to try SAFESKIN Kids Antibacterial Gel, you can print a $1 off coupon. You can also find this product at Walmart. One of my lucky readers has the chance to win their own tube of SAFESKIN…just enter in the Rafflecopter form below! a Rafflecopter giveaway Disclosure: I received the free product as part of a promotional program with SAFESKIN* Kids Antibacterial Gel and MomSelect.